Approaching middle age in a body ravaged by hard-living, Xavier leaves Manhattan following the 9/11 attacks with his young girlfriend - and his journey home to India becomes a delirious voyage into the past. From his formative years with an infamous school offin de siècle Bombay poets - as documented by his biographer, Diswas, in these pages - Xavier must move forward into an uncertain future of salvation or damnation. 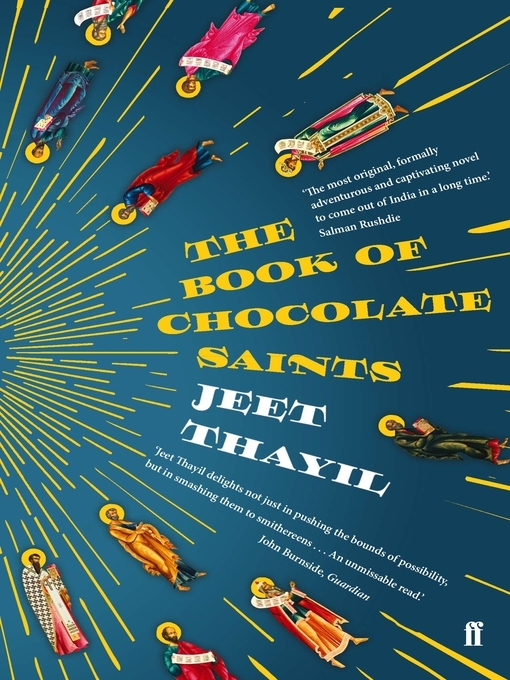 His story results in The Book of Chocolate Saints: an epic novel of contemporary Indian life that probes the mysterious margins where art bleeds into the occult, and celebrates the artist's life itself as a final monument. It is Jeet Thayil's spiritual, passionate, and demented masterpiece.